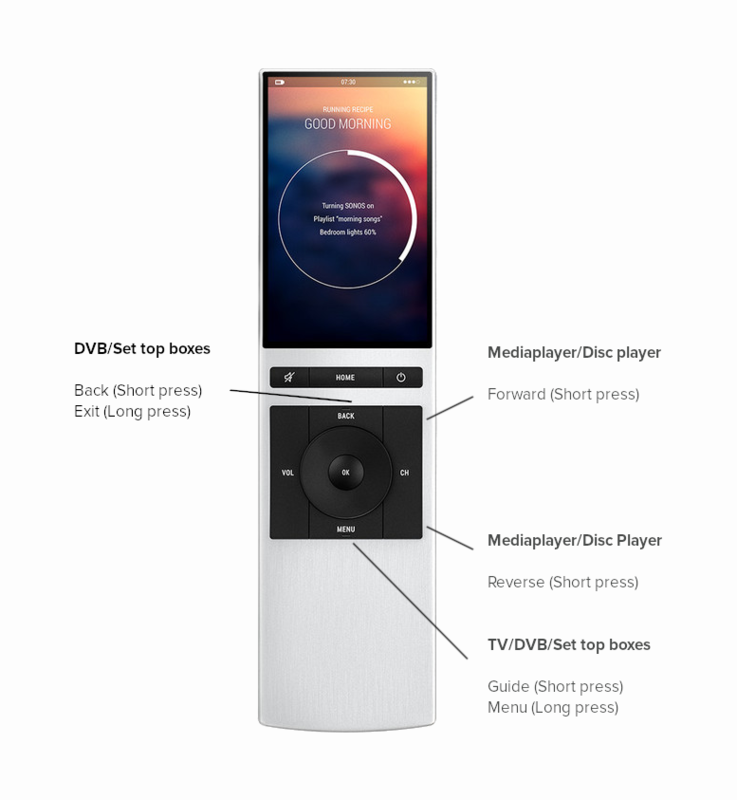 The hard buttons on the NEEO Remote do have a secondary command assigned in most of the use cases, these can be triggered by doing a long press on the button. Dependant on the device type (i.e. TV / Set Top box / ...) being controlled, the buttons may have additional functions which are not always obvious. The image below will provide a quick overview of these assignments.